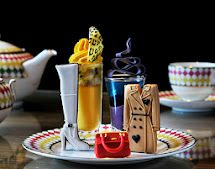 The Theo Fennell Bijoux Afternoon Tea will be available from 8th April until November 2013 and offers the ultimate afternoon indulgence. The Theo Fennell Bijoux Afternoon Tea is priced at £49.00 per person, including VAT. For more information on The Palm Court or to make reservation visit www.palm-court.co.uk and for Theo Fennell visit www.theofennell.com.